Biomass gasification / Producing gas from agricultural or forest waste provides a reliable, clean source of electricity for areas that lack access to the grid. Producing gas from agricultural or forest waste provides a reliable, clean source of electricity for villages and businesses in areas that lack access to the grid. This means that children can do school work in the evenings, more jobs are created and there is increased access to better healthcare. Husk Power Systems has developed and commercialised a 35 kW compression-ignition engine that is able to run on pure producer gas. 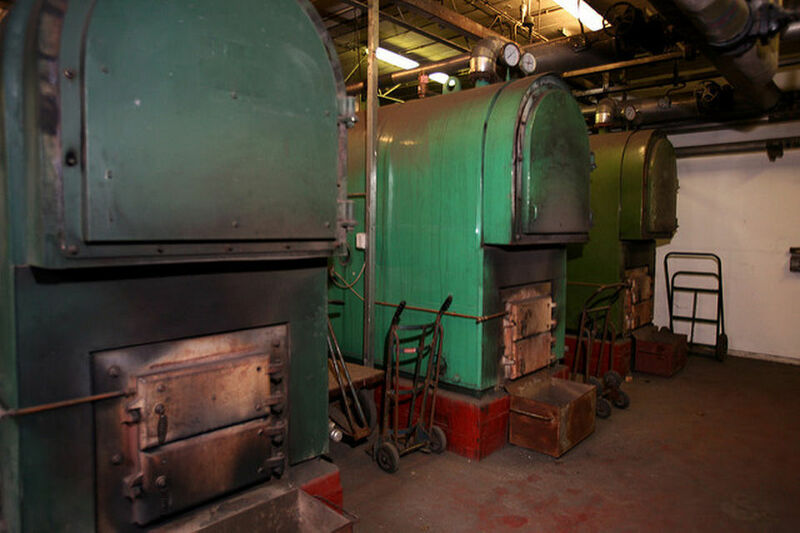 Each downdraft gasifier and engine provides power to about 500 households and small businesses through a local electricity grid, usually in places that have never been reached by the mains grid. Rice husk is the main fuel for these gasifiers, because there is a plentiful local supply. Producer gas can also be burned to supply heat. Ashden Award winner Sustainable Green Fuel Enterprise uses gasifiers to supply both char and producer gas from waste coconut shells. 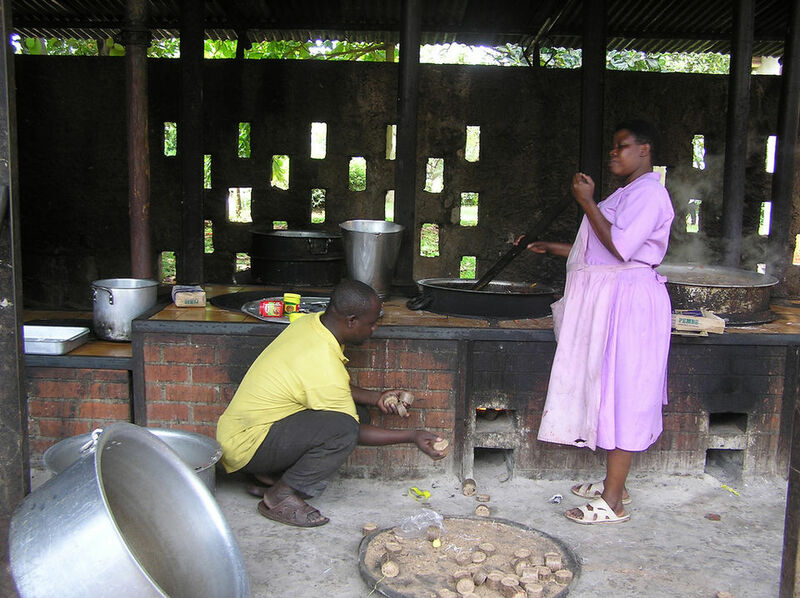 The char is used to make charcoal briquettes and the producer gas is burned to dry them. The mixture of gases resulting from the above process is known as 'producer gas' or 'wood gas', and it is the hydrogen, carbon monoxide and methane that provide energy to drive a generator. The energy in the producer gas is relatively low (about 4MJ per kg compared to 50MJ per kg for pure methane). In small-scale gasifiers, the reactions take place in a stationary or fixed ‘bed’ of biomass. In an updraft gasifier, biomass is loaded at the top of the gasifier and air is blown in at the bottom. This type of gasifier produces gas that is contaminated by tar and is therefore too dirty to be used in an internal combustion engine. In a downdraft gasifier, air is drawn downwards through the biomass. The main reactions occur in a constriction or ‘throat’, where the tars and volatile gases break down into carbon monoxide and hydrogen at a much higher temperature than in an updraft gasifier. The throat is usually made from ceramic to withstand this temperature. Downdraft gasifiers produce cleaner gas. The producer gas is hot, contains fine particles of char and ash and also includes tars. It must be filtered to remove the particles and cooled to below 100°C to condense the tars, before it can be used in an engine. The power output from fixed bed gasification/engine systems ranges from about 10 kW to 1,000 kW (electrical). Other technologies such as fluidised beds, two-stage processes and plasma technologies have been used for larger-scale biomass gasification. Small-scale generation enables off-grid villages to access electricity, often for the first time. Families can replace smoky kerosene lamps with brighter electric light, and use phone chargers, radio and TV at home. New businesses that need electricity for machinery can be started, and existing businesses can extend their working hours with better lighting. 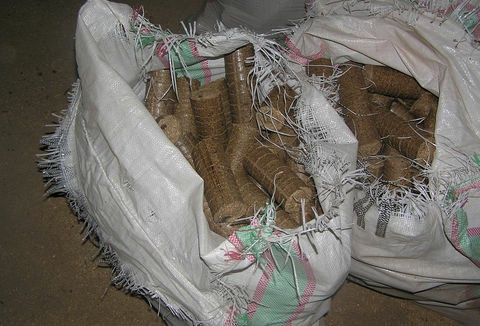 It is easier to regulate the heat production from gas than from wood, so producer gas is useful in rural industries where careful temperature control is required – like charcoal briquette production (above), cardamom drying and silk reeling. Used in this way, producer gas does not require the amount of cleaning that is needed to burn it in an engine. The main successes in producing and using biomass gasifiers are in Asia. An Indian government programme encourages their use for off-grid electrification through subsidies and training. According to government statistics, around 150 MW (electric) of biomass gasifiers were in use in 2016 The government of China has also supported the technology, and has a target of 30 GW (electric) of biomass gasifiers by 2020. 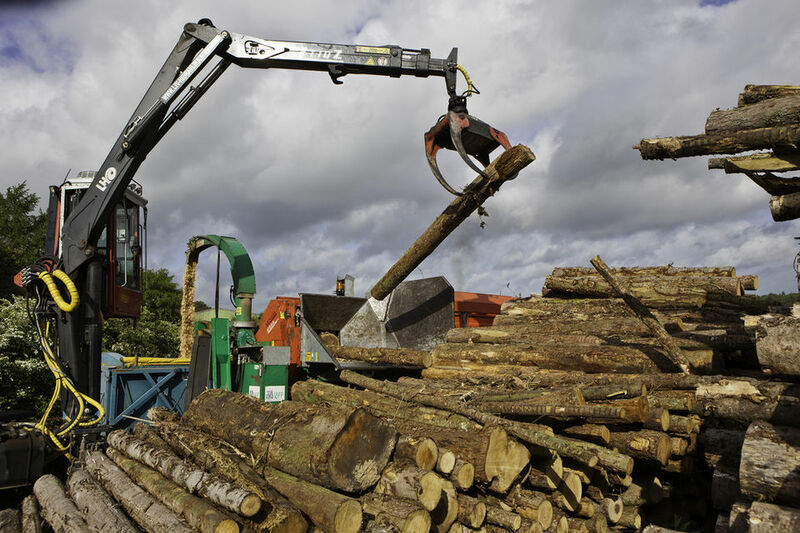 Biomass gasification has a continuing role in providing access to electricity, and an increasing number of companies in Asia and elsewhere are producing gasifiers for this purpose. Governments also recognise the value of gasification in using local agricultural residues to replace high-carbon and increasingly expensive fossil fuels.